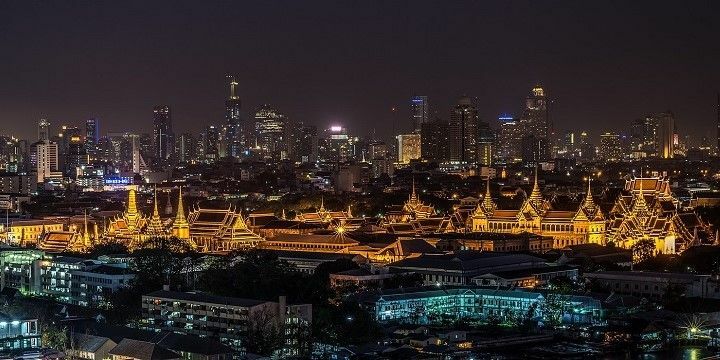 Thailand’s capital, Bangkok, is well-known for its wild nightlife scene; however, the city has more to offer than clubs and bars. With unique, intricate temples, fun floating markets, and a huge, tranquil park, Bangkok has something for everyone. While the city is a great year-round destination, remember that monsoon season hits between May and October, while temperatures soar from March to May. A trip to Bangkok would be incomplete without visiting its unique temples. Wat Phra Kaew, often known as the Temple of the Emerald Buddha, is Thailand’s most famous temple, although is one of the few that doesn’t house monks. Wat Phra Kaew is actually the collective name of a number of buildings, dating back to the 18th century. The most important building is boht, which houses the Emerald Buddha. Wat Phra Kaew is Thailand's most famous temple. The grounds open at around 8:30 every day, but try to arrive earlier to avoid the crowds. If you want a calmer experience, check out Wat Pho or Wat Arun. The latter sits on the banks of the city’s river, Chao Phraya, making it particularly beautiful. All of these temples charge a small entrance fee, but it’s worth it to discover the unique sights that lie within! In addition to its world-famous shopping malls, such as Terminal 21 and MBK, Bangkok offers a wide range of unique markets. Amulet Market, for example, sells a range of locally-made trinkets and souvenirs, while Chatuchak is the world’s largest weekend market, with over 15,000 stalls! You should also try to explore the city’s floating markets, such as Taling Chan, located just a few kilometers outside of central Bangkok, and the less-busy Khlong Lat Mayom. 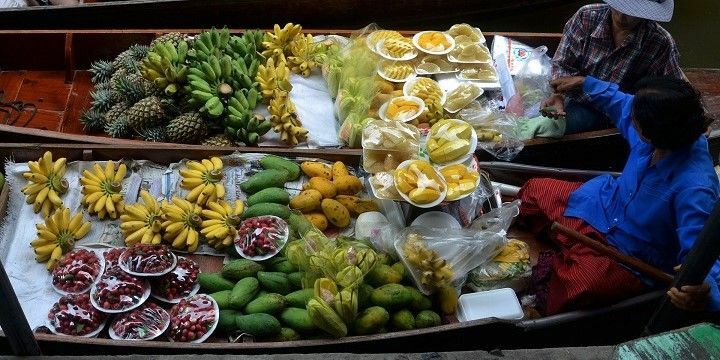 Bangkok's floating markets are a unique experience. If you’ve still got energy left after exploring Bangkok’s shops and temples, check out one of the capital’s many nightlife spots. Khao San Road, the city’s famous — or infamous — backpacker hub is full of market stalls, clubs, and bars. Phra Athit Road, meanwhile, is in the same district (Banglamphu), but its bars and cafés are much quieter and more laidback. For a different night time experience, head to Bangkok’s Chinatown, the largest Chinatown in the world. The district is perfect for foodies, with stalls selling unique dishes, such as pu’er (fermented Chinese tea). It’s also a great spot for nightlife, with its incredible, but sometimes expensive, rooftop bars. 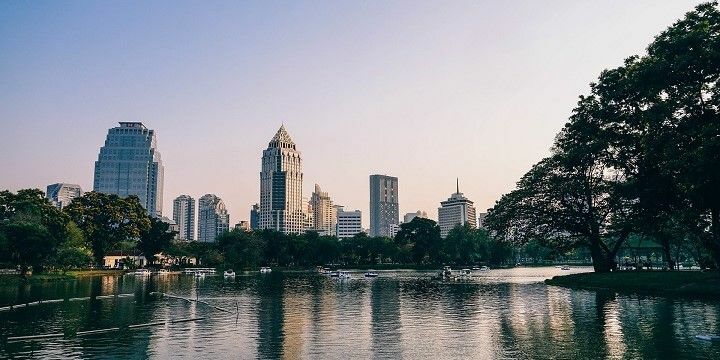 Often known as Bangkok’s Central Park, Lumpini Park spans nearly half a million square meters! Spend a day or afternoon in its huge grounds, enjoying rowing, paddle boarding, the outdoor gym, and regular live music events (many of which are free). The park is also the perfect place for foodies, with stalls selling fresh fruit and vegetables, Pad Thai, and other local delicacies. Bangkok's Lumpini Park spans close to half a million square meters. With a huge range of flora and fauna, it’s also a popular spot among wildlife enthusiasts. Try to spot the famous water monitor lizard, a large reptile (the size of a teenage crocodile), which often rises from the waters to sun itself. Don’t worry, though, these reptiles aren’t man-eating! Located about two and a half hours from Bangkok, Pattaya City is a popular beach escape for Bangkok locals. While the city has gained a bad reputation for its prostitution industry, it does have many interesting sights that are well-worth a visit. Nong Nooch Gardens, for example, hosts nearly two and a half square kilometers of natural beauty inspired by French landscapes. Pattaya City is a popular beach escape for Bangkok locals. 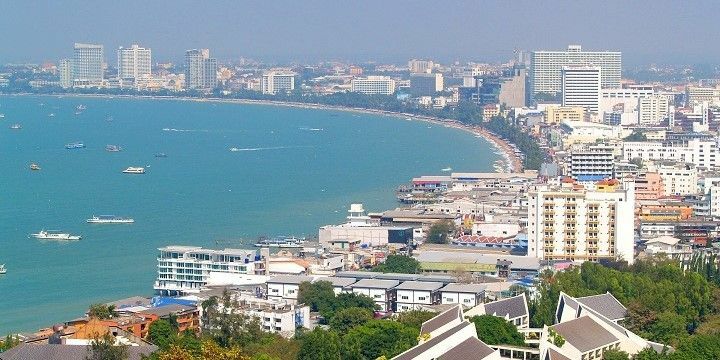 While in the city, also be sure to relax on Pattaya Beach, or enjoy unforgettable views from Pattaya View Point, located on Pratumnak Hill. Don’t miss out on the floating markets, where you can buy goods from over 100 vendors, or Walking Street, a 500-meter-long stretch of food stalls and street performers! If NextStop24 helped you to choose your next travel destination, we'd be very grateful if you’d search for your accommodation and things to do in Bangkok through these links. They're affiliate links, which means that we will receive a small commission for every booking made through them. There are no extra costs for you; you'll simply be helping to keep NextStop24 running. Thanks! I loved Bangkok! I was expecting to feel a bit overwhelmed and maybe even unsafe at times, but I didn't feel either. The street food is fantastic, lots of cool rooftop bars, and plenty of cultural sites. I wish we had stayed 4 days instead of just 2.5! Beautiful skyscrapers, a great skytrain, huge shopping malls... and right next to it there are a lot of dilapidated buildings, a lot of waste and dirt, rats and cockroaches everywhere... So there are also a lot of different things to see. Best way to visit for example the different temples, the flower market, the grand Palace of the king, the famous Khao san Road and a lot of other places is to use the skytrain and the water taxi. Its cheap, easy and much faster than using a cap or tuk-tuk. An absolute Highlight was the visit of the State Tower and the sky bar lebua. The drinks are totally overpriced but the view is worth it. Very vibrant city with many sightseeing opportunities and exciting local markets.